The narrative essay offers the writer to do what many of us like to do best вЂ“ talk about him or her self! Each of us has experiences that we enjoy sharing with others and the narrative gives us the tools to communicate our story in a way that is easily understood by others. The narrative essay is usually a story about your own life. You may tell about a memorable person or event from the past or the present. Some narrative essays also tell a family вЂњtaleвЂќ about a parent, grandparent, other relative or close friend. Although usually you want to refrain from beginning a composition with вЂњIвЂќ, in writing the first draft of your narrative essay, it may be the easiest way to start your creativity flowing. Another вЂњruleвЂќ in writing the narrative essay is to put events in chronological order. However, rules were made to be broken, and sometimes a tale isnвЂ™t best told moment by moment. Get the story on paper. Afterwards, youвЂ™ll go back and put it into essay form. As you write, remember that using descriptive language is an excellent tool to draw the reader into your experience. Use vivid verbs and colorful adjectives and adverbs that involve all five of the senses. Make your reader see, hear, feel, taste, and touch your point of view. Keep your writing conversational as if you were telling your tale instead of writing it. Use anecdotes, metaphors, and tales within tales. In fact, write your story in the way you would be most comfortable telling it. Once you have finished your first draft, you can begin forming it into an essay. Like most narrative tales, the narrative essay is usually told in the first person. Yet, if your story is about what happened to a friend, a relative, or a pet, use he or she. However, be consistent in your point of view. If you begin in the first person, stick to it. If you begin in the third person, stick to that. Most important about the narrative essay is that it is based on a real story. Second in importance is that the narrative essay takes the shape of an essay and not just a story. Introduce your narrative essay by introducing the topic and your characters. Also, include your essayвЂ™s basic premise in your introduction. This doesnвЂ™t have to be earth shattering, but it should indicate that you learned something from the experience or at least why your story is important to you. Look at your draft and choose the points that not only best describe and enhance your story but also are most related to your premise. As you develop your narrative essay, use descriptive test that creates a dominant impression in support of each point and your premise. Like any essay, the final paragraph of your narrative essay is your conclusion. Repeat your premise and summarize how the story led you to your conclusion. The descriptive language and premise of a narrative essay makes your experience interesting to your reader. Putting a story into a narrative essay form helps you relate an important event in your life in a way that is easily understood by any reader. 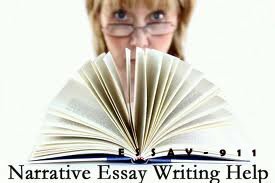 Writing a Narrative Essay 8.2 of 10 on the basis of 3690 Review.